The origins of this estate can be traced back to the 13th Century, when the Cistercian monks of the Franquevaux Abbey discovered this ideal terroir in the French countryside and proceeded to clear the forest for planting vines and olive trees. 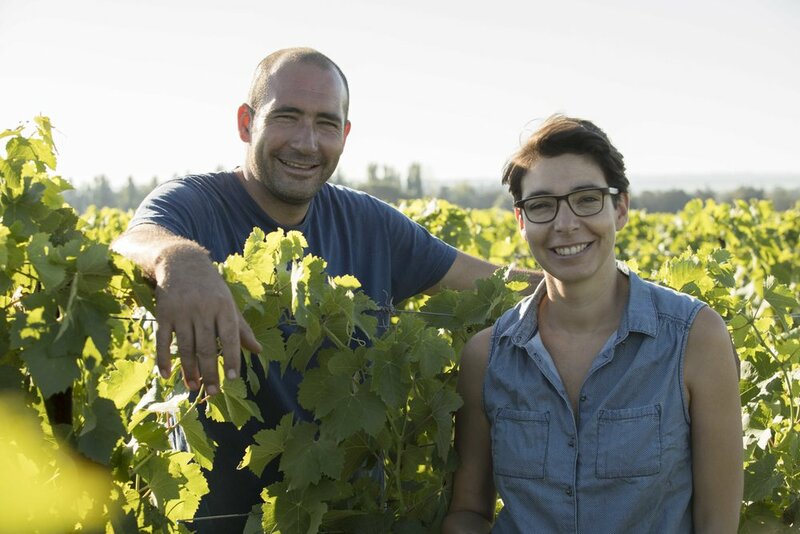 Francois Boyer and his sister Fanny represent the 4th generation of their family to run the winery and the vineyards, continuing the family tradition of making high quality wines and growing of the legacy of this great estate. In 2009, François began converting the 51 Ha vineyard to organic farming. They are a certified organic estate dedicated to preserving the beauty and health of this unique terroir. They also use vegan winemaking practices and minimal sulfur in producing the wines. These wines gain their characteristics due to the unique geographic location of the vineyards. The proximity of the lakes of the Petite Camargue to the south of the vineyards creates a consistent climate of cool nights and warm, dry days. This weather pattern makes the land well suited for several Rhone varietals including the classic Syrah and Grenache.